As we all know, Google is at the forefront of what you may call the Internet revolution. Besides being the number 1 search engine, the company is also leveraging Cloud and has come up with different products to help developers launch new scalable web and mobile apps. Amongst its various Cloud-based products, Google app engine has become quite popular. The app engine is a Cloud-based platform, is quite comprehensive and combines infrastructure as a service (IaaS), platform as a service (PaaS) and software as a service (SaaS). The app engine supports the delivery, testing and development of software on demand in a Cloud computing environment that supports millions of users and is highly scalable. The company extends its platform and infrastructure to the Cloud through its app engine. It presents the platform to those who want to develop SaaS solutions at competitive costs. Have you ever wondered as to who stands to benefit the most from the Google app engine? 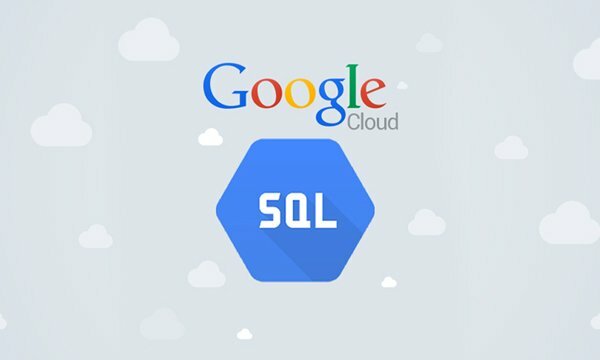 If you are a business SME or enterprise which owns any web-based application that needs to be scaled without any compromise on the performance then Google App Engine is a good fit. Companies like Best Buy and Khan Academy have chosen Google App Engine for their apps. It is a platform-as-a-service (PaaS) Cloud computing platform that is fully managed and uses inbuilt services to run your apps. You can start development almost instantly after downloading the software development kit (SDK). You can go on to the developer’s guide right away when you click on the language you wish to develop your app in. The apps are ‘sandboxed’ and run on several servers by the app engine. To deal with additional demands, the app engine allows additional resources for the application. Apps like Khan Academy, Rovio, and Snapchat run on the app engine. For more details, please refer to https://developers.google.com/appengine/features/#languages_and_runtimes. These are covered by the depreciation policy and the service-level agreement of the app engine. Any changes made to such a feature are backward-compatible and implementation of such a feature is usually stable. These include data storage, retrieval, and search; communications; process management; computation; app configuration and management. Data storage, retrieval, and search include features such as HRD migration tool, Google Cloud SQL, logs, datastore, dedicated Memcache, blobstore, Memcache and search. Communications include features such as XMPP. channel, URL fetch, mail, and Google Cloud Endpoints. App management and configuration cover app identity, users, capabilities, traffic splitting, modules, SSL for custom domains, modules, remote access, and multitenancy. For more details, please refer to https://developers.google.com/appengine/features/#generally_available_ga_features. These features are sure to ultimately become generally available features in some release of the app engine in the future. However, their implementation might change in backward-incompatible ways, as these are in the preview. These include Sockets, MapReduce and Google Cloud Storage Client Library. Preview features include Google Cloud storage client library, sockets, and MapReduce. For more details, please refer to https://developers.google.com/appengine/features/#preview_features. These might or might not become generally available in app engine releases in the future. Their implementation might change in backward-incompatible ways. These are generally available publicly. However, those mentioned as ‘trusted tester’ are available only to a select user group and they have to sign up to use the features. The experimental features include Appstats Analytics, Restore/Backup/Datastore Admin, Task Queue Tagging, MapReduce, Task Queue REST API, OAuth, Prospective Search, PageSpeed and OpenID. Experimental features include Appstats analytics, datastore admin/backup/restore, task queue tagging, MapReduce, task queue REST API, OAuth, prospective search, OpenID, and PageSpeed. For more details, please refer to https://developers.google.com/appengine/features/#experimental_features. Your app can do things not built into the core product you know as app engine as Google offers documentation and helper libraries to enhance the capabilities of the app engine platform. Google partners with other organizations to achieve this. The partners often present special offers for the customers of the app engine besides the helper libraries. The services include Twilio (voice/SMS) and SendGrid (email). For more details, please refer to https://developers.google.com/appengine/features/#third-party_services. Around the world, the Internet infrastructure that Google has is probably the most secure. There is rarely any type of unauthorized access till date as the application data and code are stored in highly secure servers. You can be sure that your app will be available to users worldwide at all times since Google has several hundred servers globally. Google’s security and privacy policies are applicable to the apps developed using Google’s infrastructure. For any app’s success, this is among the deciding factors. 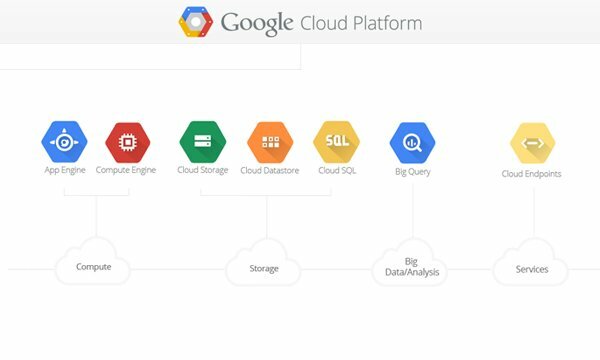 Google creates its own apps using GFS, Big Table and other such technologies, which are available to you when you utilize the Google app engine to create apps. You only have to write the code for the app and Google looks after the testing on account of the automatic scaling feature that the app engine has. Regardless of the amount of data or number of users that your app stores, the app engine can meet your needs by scaling up or down as required. Google is among the leaders worldwide among global brands. So, when you discuss performance and reliability you have to keep that in mind. In the past 15 years, the company has created new benchmarks based on its services’ and products’ performance. The app engine provides the same reliability and performance as any other Google product. You don’t have to hire engineers to manage your servers or to do that yourself. You can invest the money saved into other parts of your business. You can move all your data to another environment without any difficulty as there is not many dependencies on the app engine platform. Google App Engine enables you to build web applications for your business leveraging Google’s infrastructure. App Engine applications are easy to develop, maintain, and can scale as your traffic and data storage needs grow. With App Engine, you don’t end up paying for large server spaces and then spend on resources maintaining them. You just upload your application, and it’s ready to serve to your users. Rest is taken care by Google Cloud. Akash is a Technical Project Manager with an extensive experience in MS stack. He is passionate about architecting solutions, coding and enhancing process delivery. He envisages a foolproof solution and holds no bar in achieving his goals. Besides, he is a loving father and is very fond of spending time with his son. He believes in keeping the child alive within himself. 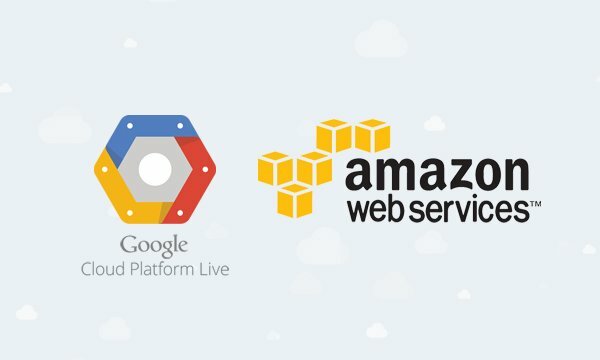 Google Cloud or AWS - Who is your ideal cloud partner?